My classroom Friday afternoon; everyone is reading! It's been a couple of weeks since I last updated on the Classroom Reading Project and so here at the end of Week Six, I thought it might be time to catch you up! I'm pretty impressed with that number because when I went back and looked at my surveys we filled out at the beginning of the year, I did not have thirty kids that could remember the last book they read outside of required school reading. That being said, I still have a number of students who have not finished a single book; they keep abandoning them and picking others. This does not bother me a whole lot just yet because a lot of these students are not experienced readers and are finding their way to books, genres, and authors that they can connect with. I'm doing everything I can to facilitate that and help my kids find the right books. One of the things I’m trying to do more of is have conversations with my students about what they are reading. Now that we are some six weeks into this independent reading, I want to encourage them to finish books, reduce the number of abandoned books, and put books in their hands that ignite their love of reading and story. I want to encourage them to read outside of class as well. We truly need to increase the number of minutes we read each day outside of class. 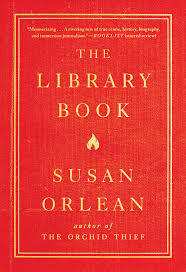 The standard seems to be anywhere from 200 - 600 pages read a week to be prepared for college level reading, but for now, I need to meet them where they are and to help guide them to books that they enjoy but that also challenge them. "But wasn’t Starr just doing what she thought she had to do to survive and do you think the story was about her actually finding out who she really is?" "Maybe but you can't fake who you are." “Oh my gosh I thought HAZEL was the one that died! All this time I thought….oh my gosh, oh my gosh….” and she covers her face with the book for a moment before finishing the last few pages. "Is The Hate u Give back in yet?" Reading Notebooks: Each week my students write a letter to me in their reading notebook where they discuss what they've read, what they think will happen, how the book relates to real life (or not), or whatever is on their minds about their reading through the week. Now, each week, more and more are giving me suggestions and requests to add to our Amazon Wish List. Their letters are getting longer and more detailed, more thoughtful. More reflective. Many are asking for suggestions for their next book. And I write back on each and every single one. Wrap up: So, here at the end of Week Six, I am still solidly committed to our classroom reading. I don't have one-hundred percent buy-in, I won't lie. I still have one boy who puts his book on his desk and never opens it. I have a couple of students who are probably fake reading. I'm hoping they will all come around. I will continue to work with them and have conversations where I try to steer them to books that ignite a love of reading for them. I have a couple who may or may not finish more than two or three books before the end of the semester in December, but that will be two or three more books than they have ever read, so I'm okay with that. I'm keeping copious notes and reflections each day. At the end of the semester I need to do a serious, hard reflection over this and be certain that it has been beneficial. I expect to see improvements in writing, in vocabulary, in comprehension, and I expect my students to move to more challenging books by the end of the semester. We are reading anywhere from a fifth grade reading level to an adult reading level. My goal has always been to try and build lifelong readers and if I can aim some of my students in that direction then this has been a success. Shameless Begging: Our Wish List is updated with most recent requests from my students nearest the top. Some are becoming invested in the series and want the next book and some have heard about books from others and have made requests. Most are around the $10 to $15 range, all are less than $20. We would love it if you would like to send us a book!